We moved into our new flat on Thursday. It all went pretty smoothly at least until about 4:30pm when we were taking the hired van back. We got a flat tyre, so stopped to change it, and while working on that I managed to dislocate my knee. Very painful, but after straightening my leg it popped back in without too much trouble. The flat is great, fantastic views of West India Dock and Canary Wharf, and we spent some of the time at the weekend watching cormorants, ducks and swans swimming on the dock. We also found that we’ve got a pretty large storeroom downstairs so we’ve got somewhere to put boxes, spare bits of beds etc. All going rather well really, and we’re finally getting the place straight and our packing unpacked. After the shenanigans last year, we’ve been fortunate enough to find somewhere to rent for a while at pretty short notice. 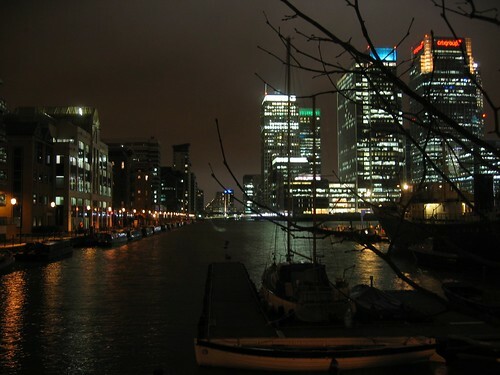 So next week we’ll be moving a little way south to a flat on the Isle of Dogs, very close to Canary Wharf. Xmas and New Year was pretty hectic. We had planned to go up to Yorkshire on the Friday before Xmas, but Vic had hurt her back and wasn’t able to move most of that day. A visit to the hospital to see if there was anything they could do proved mostly fruitless. We finally headed up North on the Saturday morning, hitting delays at the M25/M1 junction but other than that having a hassle free, if long and tiring, journey. We stayed at a hotel close to where Emma and Alex live in Wetherby and spent an enjoyable Saturday night talking to Emma, Alex, Deb and Loic. We popped over again on the Sunday morning, before setting off for Cleethorpes to see my parents on Christmas Eve. Xmas was good, saw lots of family, drove down to Bury St Edmunds on Boxing Day, stayed there for a couple of days (where Vic developed a stinking cold to sit neatly on the bad back) and then back to West Ham for a night. That gets us as far as last Friday, when we picked up a rented van, retrieved my CD and DVD collection from storage at Cedric’s and moved them up to a Bury St Edmunds. New Year’s Eve, I caught Vic’s cold, and she was still out of action with her back so we stayed in. The fireworks by the London Eye looked very spectacular on TV, but we were quite happy in the warm with a glass of champagne. Back to work on Tuesday with a head full of cold, but I couldn’t start my time as a permanent employee by taking the day off sick. Here’s hoping 2007 works out a little better than 2006 did.